In this Digital Foundry World in Motion timelapse, we'll be taking you on an extended video tour of the beautiful world that Bethesda has crafted. In accelerated motion, you can see the vast array of improvements the developers have made to an engine that was clearly showing its age somewhat in Fallout: New Vegas. 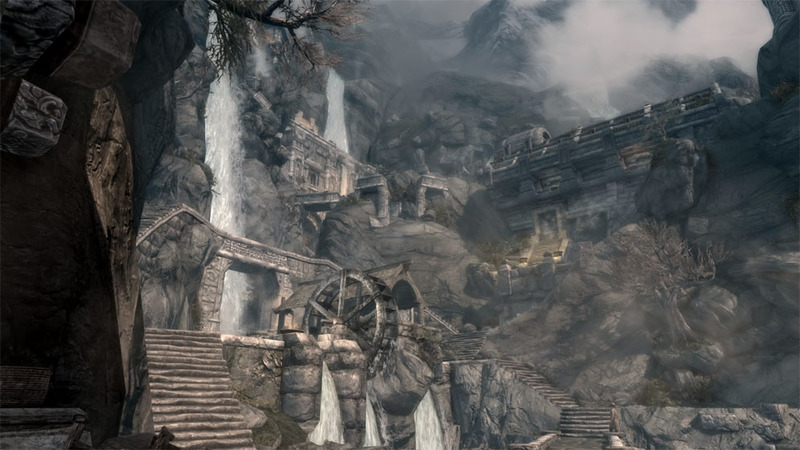 Cloud cover and lighting has enormously improved, and Bethesda has clearly paid a lot of attention to atmospheric rendering and other additional effects: wispy clouds hug the sheer mountains, visibility is affected by weather-dependent haze, while the Nordic feel of Skyrim itself is emphasised by the frequent Aurora Borealis dominating the night sky. In creating this video, we've only just begun to scratch the surface of the immense world: we've visited the major capitals, scoped out a range of landmarks, but in truth the scale of the map and the number of locations for you to discover is simply vast. A fully populated map encompasses hundreds of landmarks while we've recorded just 44 scenes. Any video game timelapse requires a great deal of effort, particularly with the volume of shots we have here. 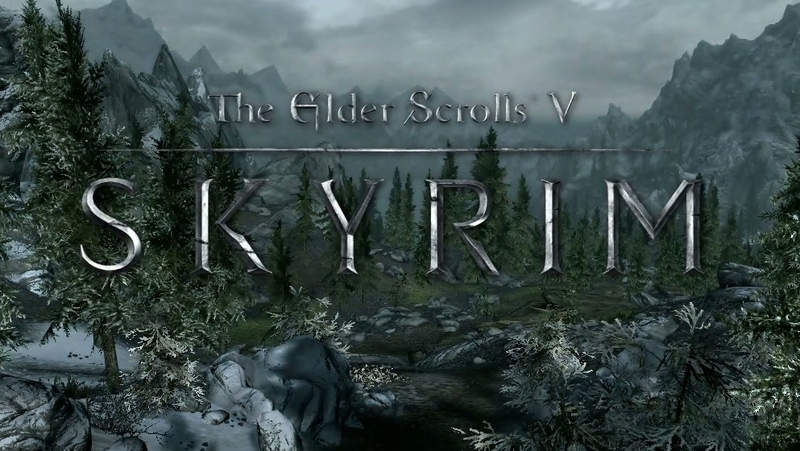 Bethesda provided us with an Xbox 360 version of the game ahead of launch, and while we got some nice footage, a single day-night cycle took a very long time to record, and there was no way to preview the effectiveness of the shots until they were complete. In the event, we binned that work and went with the PC version at launch. The fact that we captured at 1FPS allowed us to ramp all settings up to Ultra, even though the game itself was borderline unplayable (even on an i7/GTX580 combo). We enabled screen-space ambient occlusion (SSAO) via an NVIDIA tweak and added an improved tree shadowing mod that improved the look of the game still further. As we were running on PC, we were able to ramp up the resolution and use console commands to tweak the passage of time (allowing for faster capture of shots and to preview shifting lighting conditions), turn off enemy combat AI and invoke noclip - meaning we could access shots from any angle we chose. On this page you'll find hand-encoded video optimised for the best picture quality but for those looking for the best presentation available, there's a native 1080p version to download. It's encoded with the PS3 and Xbox 360 media players in mind, but it should also work just fine on computers with reasonable h.264 decoders too. Updated: Upon our weekly purge of captured content on the main workstation, we discovered that our 25 hours of Xbox 360 timelapse video was sitting on a secondary drive and hadn't been deleted after all. In a spare moment, we put together this alternative presentation. As you can see, there's quite a lot of difference compared to the PC ultra experience - not just in terms of environmental detail, but also in the update rate of the shadows, and the inconsistent anti-aliasing, which seems to be wiped out by alpha effects. If anything it confirms that we were right to stop work on this version and move over to PC, but the results remain interesting nonetheless.